Biosimilars are medicinal products that are similar to a biopharmaceutical that has already been authorised. As biopharmaceuticals are expected to dominate the best-selling pharmaceuticals worldwide by 2016, the emergence of biosimilars imposes an important challenge for governments. At this moment, the uptake of biosimilars in Belgium is limited, with market shares close to 0 %. This study aimed to identify the barriers that impede the uptake of biosimilars in Belgium. Semi-structured interviews were conducted to investigate in depth the barriers to the uptake of biosimilars in Belgium. Respondents were selected through selective sampling so that all different stakeholders were represented (authorities, physicians, pharmacists, patients, academics and industry). Respondents were contacted by e-mail and letter with a request for participation. A thematic framework was used to analyze the data. Three main barriers to the uptake of biosimilars in the Belgian market were identified: a lack of confidence towards biosimilars by some stakeholders; uncertainty about the interchangeability and substitution of biosimilars; and a hospital financing system that discourages the use of them. Providing all stakeholders with objective information on the concept of biosimilars, reforming the financing of hospitals, developing and implementing prescription quota in hospitals, setting up patient registries for biosimilars and speeding up the pricing and reimbursement process of biosimilars are suggested solutions to increase the uptake of biosimilars in Belgium. To fully capture the potential savings of biosimilars, governments should take measures to increase their uptake. The Belgian government, and also the manufacturers of biosimilars, should take measures to reduce the uncertainties related to biosimilars and raise confidence among prescribers. In addition, the financing of hospitals should be reformed and incentives should be developed to stimulate physicians to prescribe biosimilars. The online version of this article (doi: 10.1007/s40273-014-0163-9) contains supplementary material, which is available to authorized users. The authors would like to thank A. Coudron, J. Lambrechts, T. Landrieux, J. Max and A. Rogiers for conducting the interviews and processing and analyzing the data. The authors would like to thank E. Picavet for her assistance during this research. No funding was received to conduct this research. S. Simoens holds the EGA Chair ‘European policy towards generic medicines’.Pieter Dylst, Arnold Vulto and Steven Simoens have no conflicts of interest that are directly relevant to the content of this manuscript. The idea of the paper was developed by Steven Simoens and Pieter Dylst, based on a Master’s thesis of five pharmacy students. Pieter Dylst is the guarantor for the overall content. The manuscript was prepared by Pieter Dylst. Steven Simoens and Arnold Vulto contributed to this paper by reviewing the manuscript and adding suggestions to improve the paper. All authors revised the draft paper. All authors read and approved the final manuscript. GaBi Online: Generics and Biosimilars Initiative. Biologicals sales have almost doubled since 2006. Available from: http://www.gabionline.net/Biosimilars/General/Biologicals-sales-have-almost-doubled-since-2006. PipelineReview.com. Blockbuster biologics 2012. R&D Pipeline News, Special Edition 1/2013. Available from: http://www.pipelinereview.com/index.php/2013050850905/FREE-Reports/Blockbuster-Biologics-2012.html. Gaffney A. FDA releases fourth biosimilar guidance outlining new types of meetings. Regulatory Focus. 1 Apr 2013. Available from: https://www.raps.org/focus-online/news/news-article-view/article/3106/fda-releases-fourth-biosimilar-guidance-outlining-new-types-of-meetings.aspx. European Medicines Agency. European public assessment reports. 2013. Available from: http://www.ema.europa.eu. European Medicines Agency. European Medicines Agency recommends approval of first two monoclonal-antibody biosimilars. 2013. Available from: http://www.ema.europa.eu. 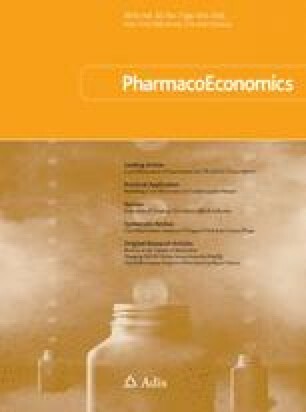 Bocquet F, Paubel P, Fusier I, Cordonnier A-L, Le Pen C, Sinègre M. Biosimilar granulocyte colony-stimulating factor uptakes in the EU-5 markets: a descriptive analysis. Appl Health Econ Health Policy. Epub 1 Mar 2014. doi: 10.1007/s40258-014-0087-8. Generics and Biosimilars Initiative Online. 2013. Available from: http://www.gabionline.net.